Stomatitis (Lymphocytic Plasmacytic Stomatitis) is an autoimmune inflammatory condition where a cat's mouth develops a hypersensitivity to bacterial plaque. The cat's body forms antibodies to its own tissues and attacks itself. 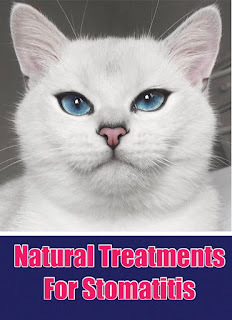 Stomatitis is a very painful condition for your cat and similar to other autoimmune diseases, recognizing the symptoms, early intervention and avoiding triggers (that can set off flare ups) can greatly control the progression of the disease. Some common triggers are exposure to vaccines, environmental chemicals, stress, and food allergens. Conventional veterinary treatments for stomatitis can provide short-term temporary relief but long-term the cat's immune system needs support. Steroid shots and antibiotics can help initially but are not a viable long-term solution. A drastic solution is often to remove most of the cat's teeth. Many cat owners report that even after all of their cat's teeth are removed, the cat continues to suffer from red, painful gums. This is because the underlying autoimmune condition has not been addressed. You can help your cat's stomatitis and progression of this autoimmune condition with diet changes and a few supplements. The sooner you start, the more likely you will see results as this is a progressive condition that gets worse over time. 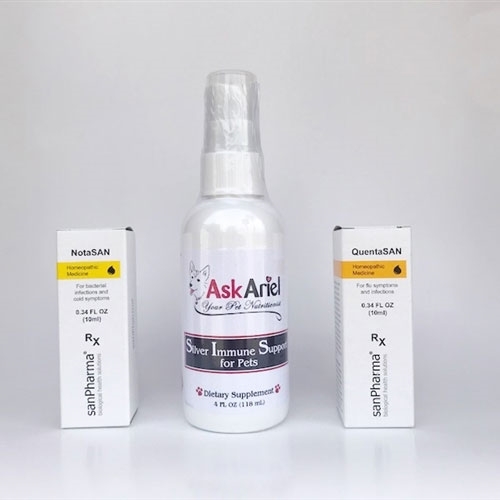 Using natural home remedies along with conventional treatments at the first of sign of inflamed gums will yield the best results as this condition often progresses and worsens over time. Immune Support Kit - Contains three tasteless liquid formulas: Silver Immune Support, NotaSAN and QuentaSAN drops. These three remedies can provide fast relief for your cat's stomatitis and are easy to administer. Save on the package price when you buy all three natural remedies together. QuentaSAN and NotaSAN--Two powerful homeopathic formulas that are most effective when used together. They are very important for the treatment of autoimmune disease as they gently reduce infection and inflammation. Can be used long-term for immune support. Silver Immune Support for Pets - Broad spectrum antimicrobial that can be used along with antibiotics. Safe for young kittens with upper respiratory infections too. AKA "The Germinator"
Power Probiotic for Pets--is a multi-strain formula and is simply the best probiotic for pets. 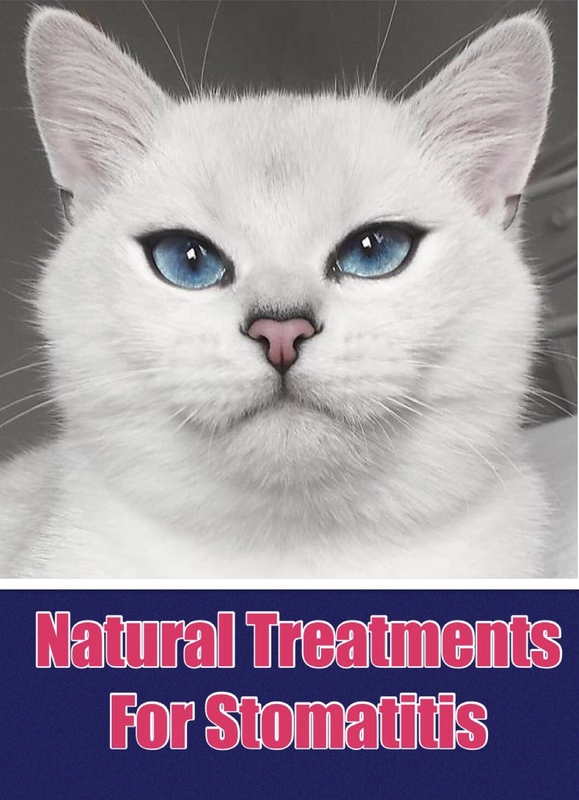 It is safe and natural without any fillers and most cats love the taste! The Power Probiotic for Pets promotes the growth of healthy bacteria throughout the GI tract and mouth needed to ward off bad bacteria. 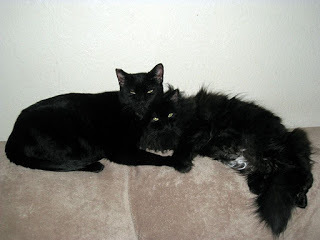 Immune Harmony - Immune Harmony is the first line of defense for cats with autoimmune disease. It is made with natural plant sterols and one bottle will last a long time. It helps to modulate the cat's immune system, and is well tolerated by cats. In addition to using supplements, pets with stomatitis and gingivitis can benefit from a special diet. Cats are carnivores and need a high protein hypoallergenic diet. However, it needs to be the "right" food. Even some "premium" brands contain the wrong protein, fillers, chemicals, food coloring or sugar that can be triggers for the autoimmune attacks! Please be sure to include your cat's diet and health concerns on the order form at checkout and Ask Ariel will include a diet suggestion on the packing slip that comes with the product directions.